Master bathroom remodel will take it from boring beige to luxury hotel! 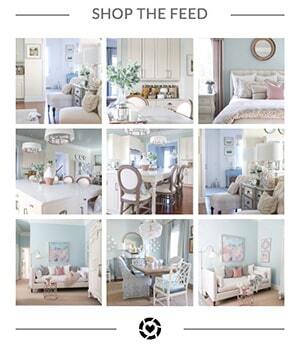 The Spring One Room Challenge kicks off today! 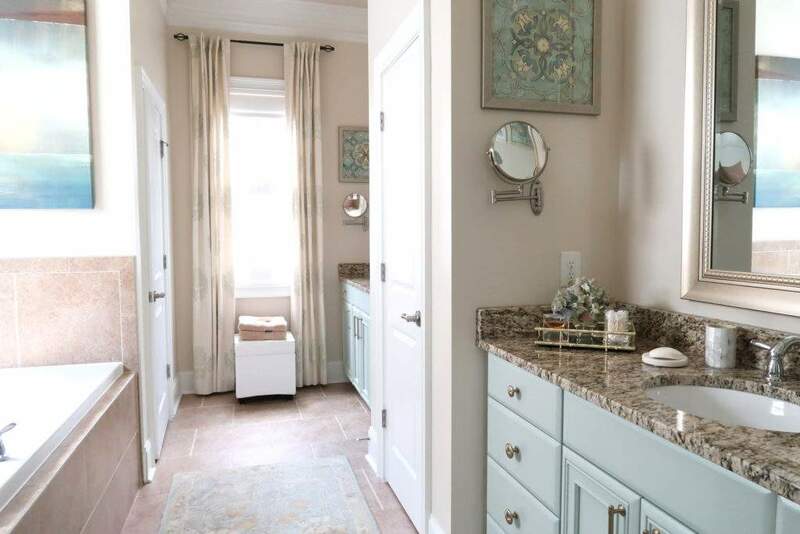 Are you tired of your boring builder beige tile in your master bathroom? Me too! After living with the beige tile and decorating around it, I finally decided to go for a major bathroom renovation! Follow along over the next 6 weeks, as I share inspiration, demo, build out, and decisions along the way. How I created a high-end luxury hotel master bathroom, on a reasonable budget. Guess what? It all started with a spilled glass of red wine! 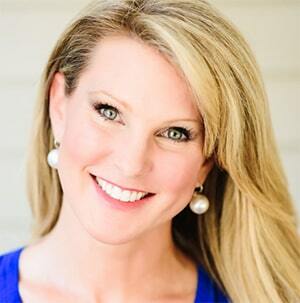 If you are visiting my site for the first time, finding me through The One Room Challenge, I thought I’d introduce myself! My name is Tracey, the Master of Chaos, at Porch Daydreamer. Yes, that is my official title 🙂 My home is in beautiful Charlotte, NC. 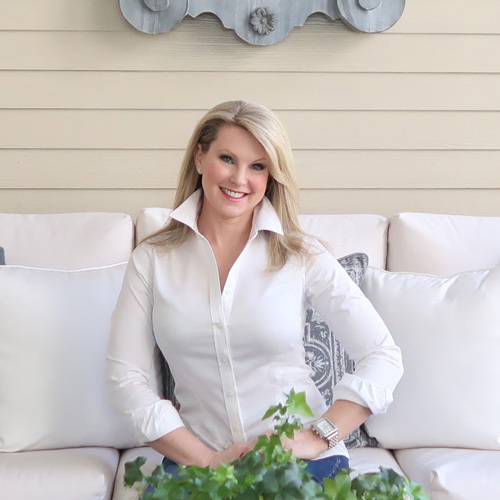 Using a degree in textiles and a career in home improvement I’ve been creating a beautiful life – one project at a time! A single working mom for over 15 years I’ve had to be scrappy to stay within my budget. Fortunately, my career has equipped me with lots of knowledge around tools, caulk, paint, home trends, and cabinet hardware. All of this helps me create high-end design on an affordable budget. I created this blog to share and teach what I’ve learned and continue to learn, as a way to inspire others to tackle their own projects. 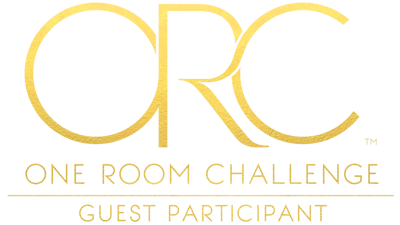 It’s so exciting to be a guest participant / design influencer in the One Room Challenge for the FOURTH time. Sometimes I think I’ve lost my mind doing this again, but I love the motivation it provides to get me working on making over a space. Over the course of 6 weeks, each designer will post their progress with the final TA DA reveal on May 9th! There are 20 Featured Designers and hundreds of guests that you won’t want to miss, with Better Homes & Gardens being the media sponsor you know this is a great design inspiration event. Here is the reveal of my fall power room makeover that started the removal of beige tile in my home. And my favorite, but all-consuming makeover, the dining room! These One Room Challenge makeovers have really changed my aging builder grade home to make it that much more beautiful. 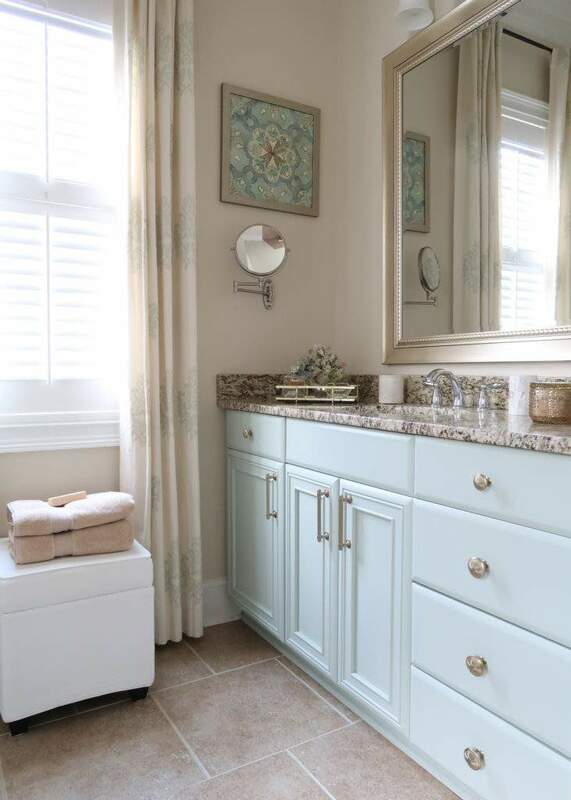 My master bathroom will be no different! It will definitely be the most jaw dropping before and after. 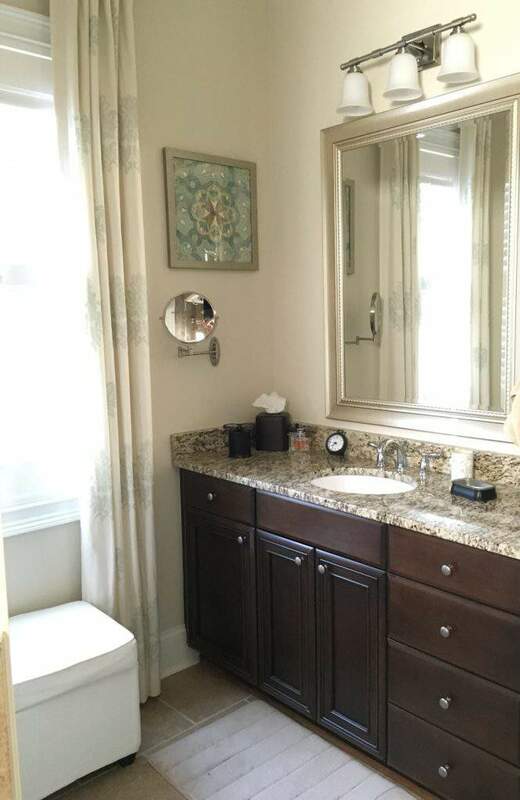 Ah yes, back in 2010 all of this large beige tile seemed safe and I think cool at the time? Now not so much! Then on top of all that beige tile, the wonderful world of granite in all its durable dark shades of brown. Here is my bathroom as it has evolved over the past 9 years. Painting the cabinets and updating the hardware refreshed the room very affordably and it has worked for the past several years. Even MORE beige tile up the wall and around the bathtub. Don’t get me wrong the bathroom is big and sunny, but I am ready for change! This is a TRUE story that still makes me laugh! After a long day, I decided to take a hot bath. Then I decided I would bring a glass of wine into the bathroom, which I NEVER do. Of course it was RED wine and as I was pouring it into the glass I thought “this is a bad idea!” You intuitively know how this ends. The sad thing is I never even took a sip of the wine. As I exited the tub, I forgot about the glass of wine behind my head. Foot takes out glass and RED WINE (a full glass) ends up on this beautiful rug – ruining it! 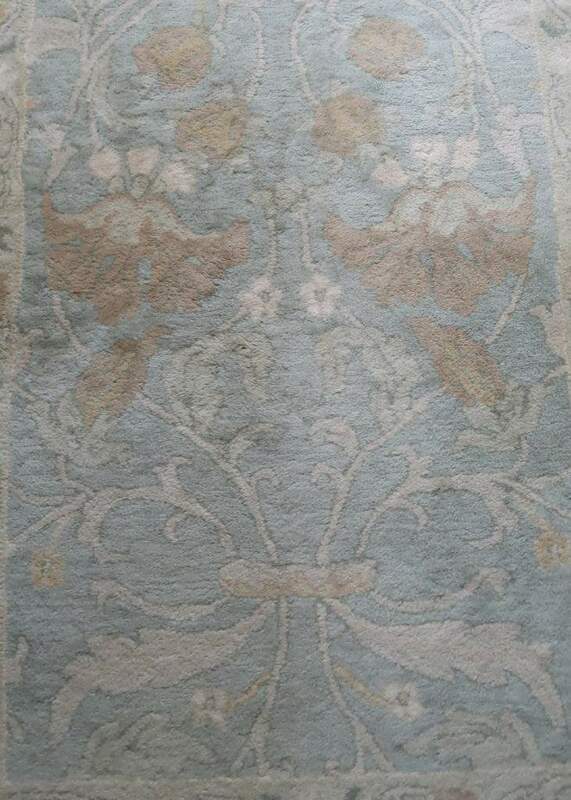 This rug was the base for all the colors in the master bath. 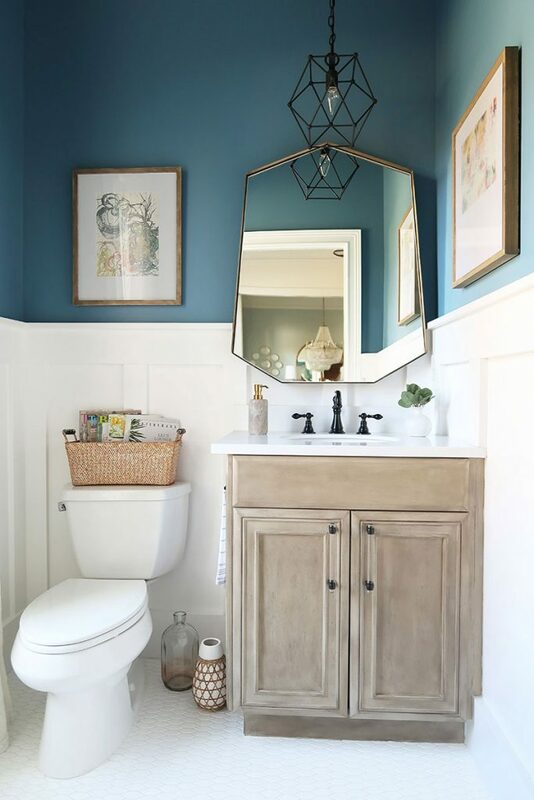 After having no luck bringing home rug after rug, I decided the only thing that would fix this problem was to makeover the master bathroom – why not? Bye, bye beige tile and hello luxury hotel bathroom! 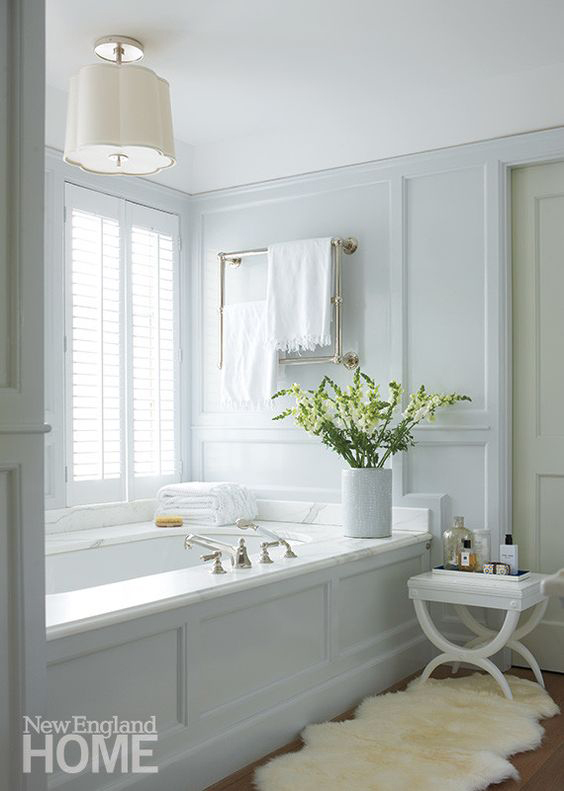 This master bathroom inspired me to decide to invest in a marble deck for the tub. It adds such a touch of elegance. Plus I LOVE the mouldings and paint color! Soft and serene, with a touch of luxury. Then what about this beauty! The double niches stopped me in my tracks on Pinterest. My renovation is not a build out and on a smaller budget, so this niche option isn’t possible. HOWEVER, it inspired me to find a way to incorporate the niche on the shower fixture wall. I’ve been fortunate in my life and either personally or professionally and stayed in some really beautiful hotels! 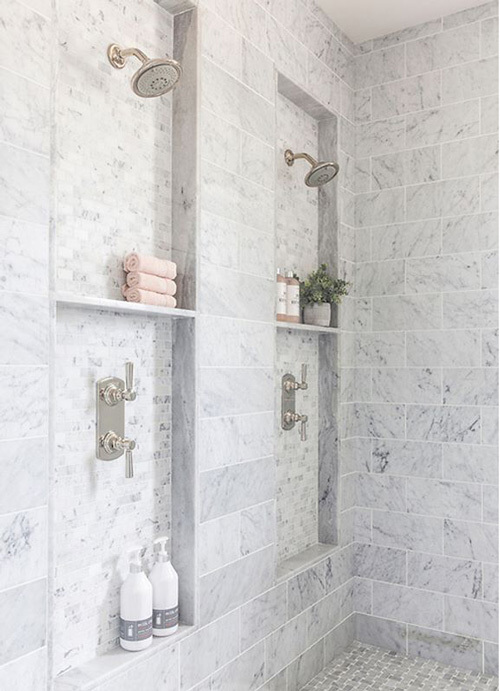 What always stops me in my tracks is the gorgeous tile and usually marble that presents a clean and white sophisticated look. Marble is definitely going to be at the core of this design plan! 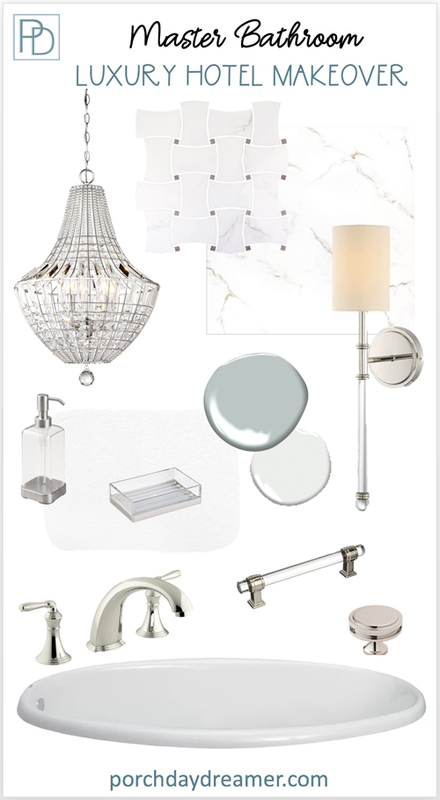 Then of course a beautiful crystal chandelier, polished nickel accessories and for a little modern touch – glass accents. Since taking a bath is extremely important to me (especially after hiring a trainer at the gym), I’ll be incorporating a deep soaking tub. I’ve decided a free-standing tub is not for me. Some new soft spa-like bath vanity rugs for a place to sink my toes after that bath 😉 Then trade up the bathroom accessories, for that luxury hotel feel. I’m so excited to share this renovation with you! Please consider signing up for my weekly email newsletter, so you don’t miss the progress and reveal May 9th.